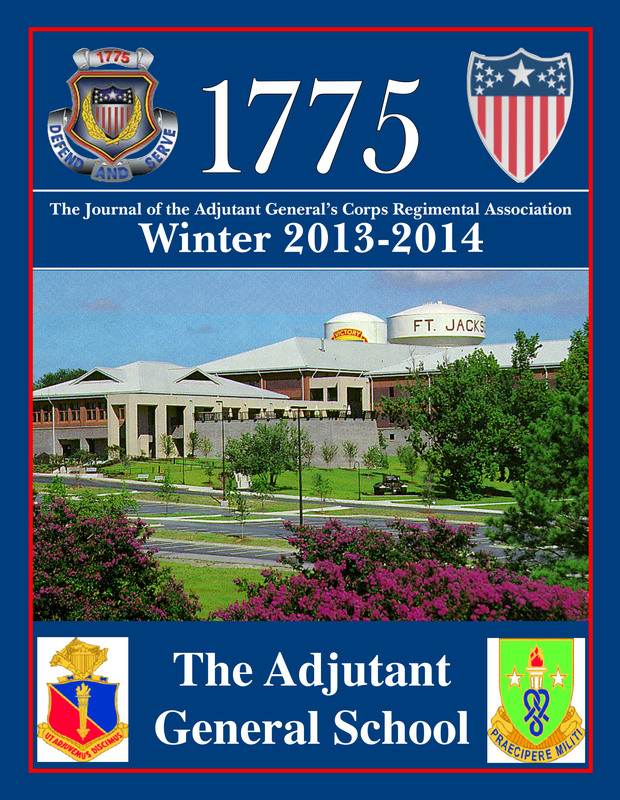 This edition of 1775 is dedicated to “The Adjutant General School.” The AG School was officially established on 14 June 1941 at Arlington Cantonment, Virginia, as a special school for The Adjutant General’s Department. The first HR courses of administration, classification, machine records, postal, personnel consultant and recruiting began with approximately 200 students. From Arlington Cantonment to Fort Washington (MD), Fort Sam Houston (TX), Camp Lee (VA), Fort Ogelthorpe (GA), Carlisle Barracks (PA), Fort Benjamin Harrison (IN), and its present location at Fort Jackson, the AG School has been the center of HR training for AIT Code 42 Soldiers and professional military education for AG NCOs, Warrant Officers and Officers for over 72 years. The AG School continues to be the place to learn the Army’s human resources craft and practice our trade before hitting the ground running at our next unit of assignment. Hands on training is paramount and critical thinking and analysis is the foundation for all HR training executed. Whether you are a new or experienced Soldier, the AG School is our Corps’ bedrock for Army HR doctrine and the employment of HR tactics, techniques and procedures. We hope you enjoy this edition of 1775 highlighted by articles depicting the AG School’s mission, capabilities and training support for all AG Soldiers.